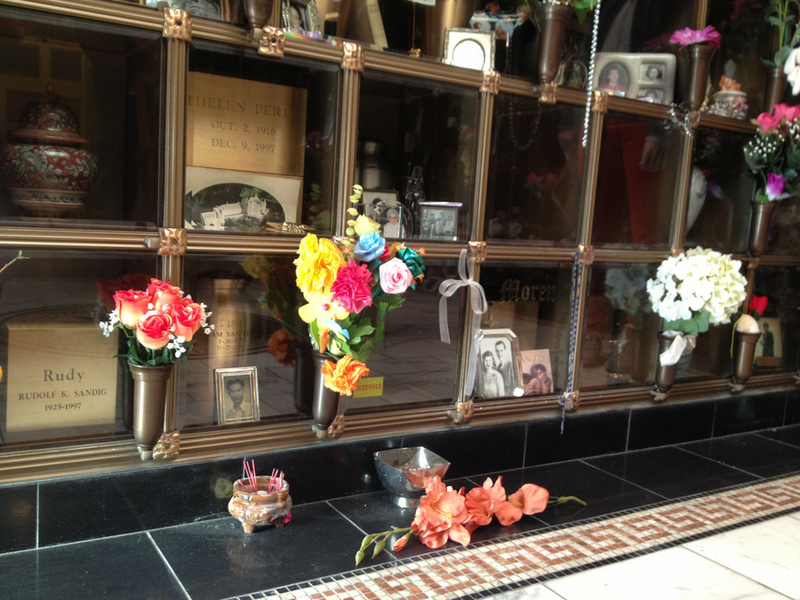 During the Action Mill's trip to San Francisco last week to attend Wisdom 2.0, we visited The Neptune Society's Columbarium, a kind of cemetery for the ashes of people who have chosen to be cremated. 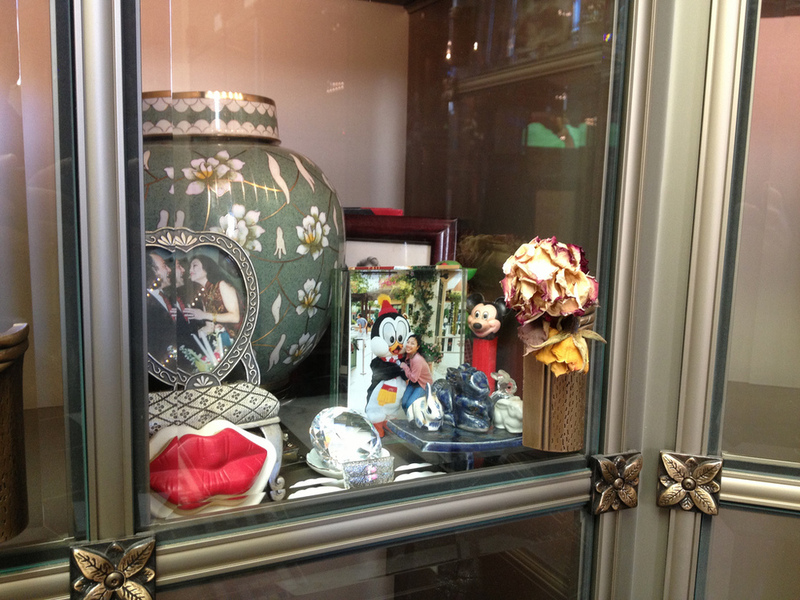 During a tour of the columbarium, which was built in 1898, we were struck by the deeply personal nature of what people chose to include in their loved ones' niches. 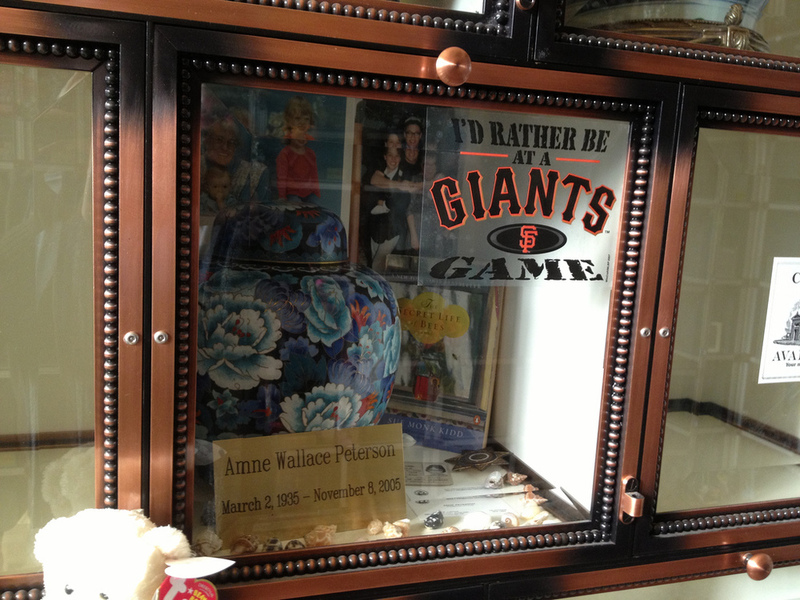 From hot sauce to stuffed animals, personal notes to San Francisco Giants banners, each spot told a small story about someone who is deeply missed. And together, the space has a feeling of community; a place where families and friends can come to mourn and remember together.